HMH Books for Young Readers, 9780152165369, 40pp. 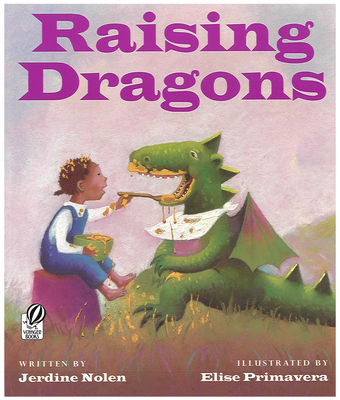 When a dragon hatches on her pa’s farm, a young girl finds a best friend. At first Ma and Pa are wary of Hank, but it’s not long before they see him as their daughter does--and welcome the baby dragon into their family. As it turns out, Hank is not cut out for farm life, but still, he warms the hearts of those around him and leaves a legacy that no one will ever forget. ELISE PRIMAVERA has been writing and illustrating children's books for more than twenty-five years. She has received numerous awards for her work and in 2004 was asked to illustrate the Christmas Brochure for the White House. Her Christmas classic AUNTIE CLAUS earned two stared reviews and was a New York Times Bestseller.